Here at IDS, we not only offer fantastic security solutions for your home but also your business! We understand how much hard work goes into setting up businesses and the effects it can have when they are subject to crime and unlawful behaviour. That's why we are continuously encouraging all business owners to ensure that they are taking the appropriate measures to effectively protect their workplace. A great solution that provides an extra element of safety to your business is security barriers. 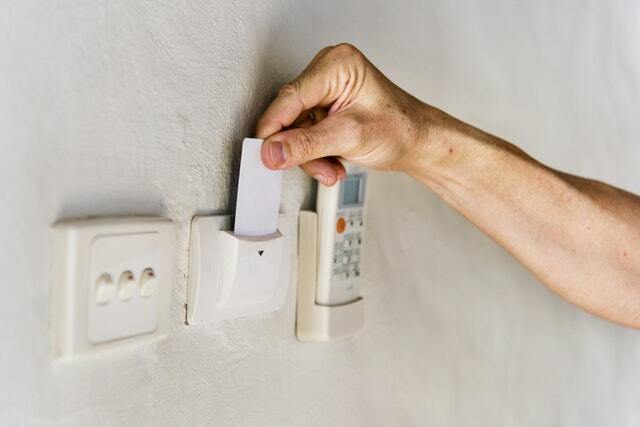 These are an effective way to manage who enters and leaves your premises, providing you with the peace of mind that no unauthorised personnel can enter your business. One type of business that security barriers can work particularly well in is offices, given that many can hold large amounts of people as well as very sensitive information. Meaning that the management of the personnel that can enter and exit becomes an important matter for business owners. A concern that can be made easier with our office security barriers. 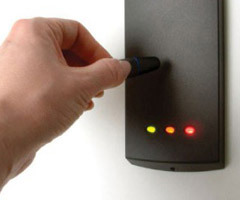 Why Buy Office Security Barriers form IDS? 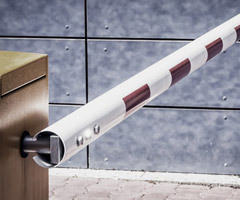 Our Office Security Barriers are easily managed and controlled - they are able to be fully integrated into a full access control system providing a further layer of security and safety. Our Office Security Barriers are manufactured by CAME and FAAC, the two leading UK suppliers of security barriers and automated gates. IDS do not only supply Office Security Barriers, but we are also able to install them! With the additional option of full-time maintenance service which guarantees a continuously smooth security service. If you believe our Office Security Barriers are what you need to protect your business, why not call us today on 02920 753 251, email us at admin@ids-security.co.uk or fill out our enquiry form below. In order to relax in your own home, it's vital that you feel safe on your property. It's important that you are secure and comfortable and one way to achieve this is to have added control over who can enter your property. A video door entry system is a fantastic way to feel safer in the home, as not only can you control who comes in but you also have a video record of it. Here at IDS Security, we provide top-of-the-line video door entry systems that combine advanced door entry systems with state-of-the-art cameras. To see our full range of door entry systems, click here. As well as tailoring the video door entry system to your specific needs and property, we are also here to make sure it is installed properly. We are the experts in door entry installation because we design the equipment and know how you can get the most from your security system. As well as the initial video door entry system installation we also offer a 24/7 maintenance service. This means we are always available to monitor your video door entry system and make sure it is working to the best of its ability. Whatever your security needs are we are on hand to help, so you can trust us to get your property secure. If you would like advice about your security system or any of the other services we provide, please do not hesitate to get in touch. For help from our friendly team of experts, contact us today.